Taking our name from the old Hazel Fern farm in Portland, our journey from 5-gallon carboys in our basement to our historic Chehalem Mountains farmhouse, has been a wild ride since 2006. Sparked by the loss of a young family member and quarter-life crisis in 2014, we traded in our daily commute for a tractor and the wine life. We make our wine to be paired with GOOD music, great people, MEMORABLE stories & delicious farm dinners. We’ve honed our craft through hustle, hard work, and hours of drinking with friends. LAURA’S LOVE OF WINE IS ROOTED IN GOOD TIMES, GREAT FRIENDS, AND SHARED MEMORIES. As Hazelfern’s General Manager, Laura is the driving force behind the experience and heart of Hazelfern. 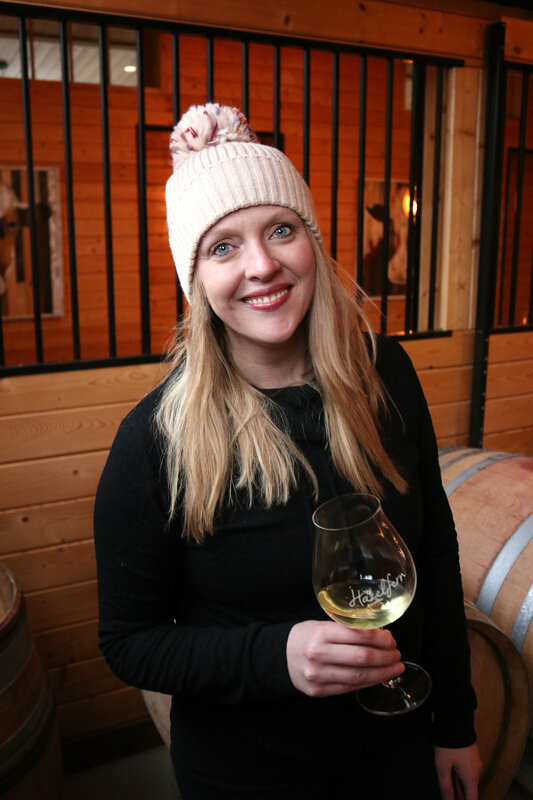 From co-winemaking to running the finances, planning the events, and hosting guests in the Hazelfern wine barn, Laura truly wears every hat there is. While entertaining and wine are Laura’s passion, she can’t wait to hear your story and create new friends here on the farm. 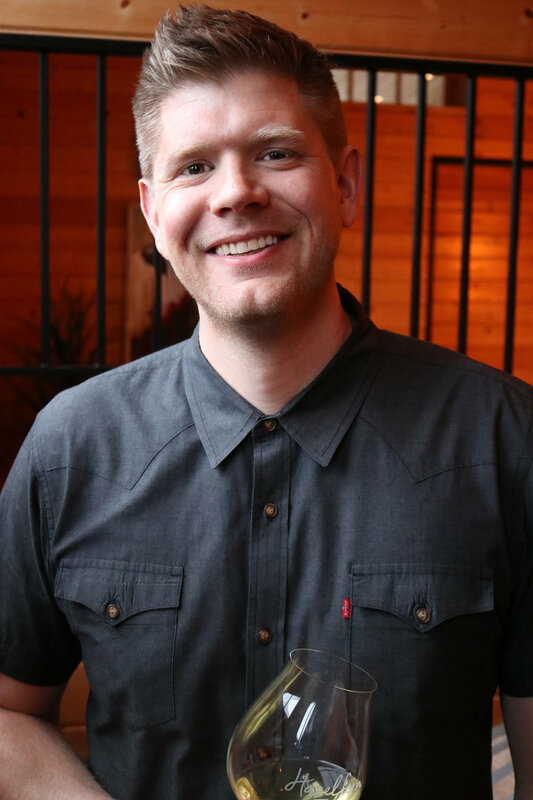 “I think Hazelfern is a pretty magical place, and I’m focused on delivering a memorable experience for everyone that stops by to share a glass of wine with us. I want people to remember the stories that were shared with our wines, and I want the Hazelfern experience to be friendly and approachable. I love getting to meet new people over a great glass of wine!" 1. Laura is Canadian. She was born in Vancouver and grew up near Toronto. After a few glasses of wine, she starts talking like a Canadian. Moms become Mums, Processes become Pro…cesses,” and Houses become "hoe-ses.” She also develops a strong desire to play hockey. 2. Laura’s kryptonite is old TV series on Netflix and Hulu - she could literally binge watch them all day long. Currently she is really into this show from the 90’s called “Beverly Hills, 90210.” Maybe you’ve heard of it? 3. Laura has a great eye for interior design and consumer experience. She has been working her magic in the winery/barn, and can’t wait to invite you all over to hang out and drink some wine this summer. She’s hoping your experience at Hazelfern will be completely unique and magical. 5. Laura has a tattoo. It’s a red maple leaf that was freehanded at 2am in Vegas on her left cheek. Yes, that cheek. 👇🏼 Did we mention that Laura really likes wine? Whether you’ve been to a Friends & Family Release party or had a spur-of-the-moment tasting, you’ve probably run into these two spitfire farm girls. Laura and Bryan’s two princesses of pinot run the show behind the scenes and enjoy every aspect of growing up on a vineyard. Late summer nights playing between the vines and helping mom & dad with punch-downs, the appreciation for friends, family, and sharing the craft is being passed down.